SentenceBuilderTeen™ is designed to help teenage children learn how to build grammatically correct sentences. The content for SentenceBuilderTeen™ is identical to the IAP's of the award winning SentenceBuilder™, but in a stand alone app for teenagers. SentenceBuilderTeen™ pays explicit attention to the connector words that make up over 80% of the english language. 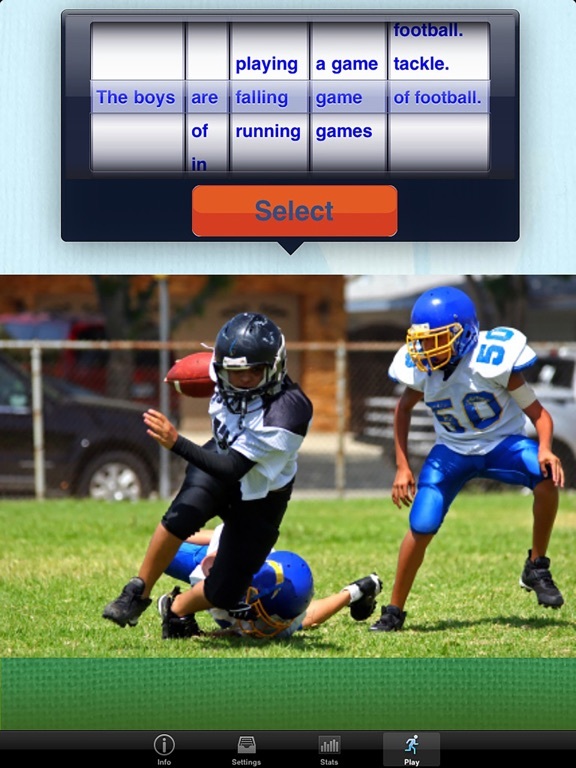 Combined with images that will appeal to older children, SentenceBuilderTeen™ offers a rich and fun environment for improving the grammar of teenaged special needs children. SentenceBuilderTeen is part of "The Builder Series" of award winning education apps. Mobile Education Store has won over 40 app awards and has been named educational developer of the year in 2011 and 2012.